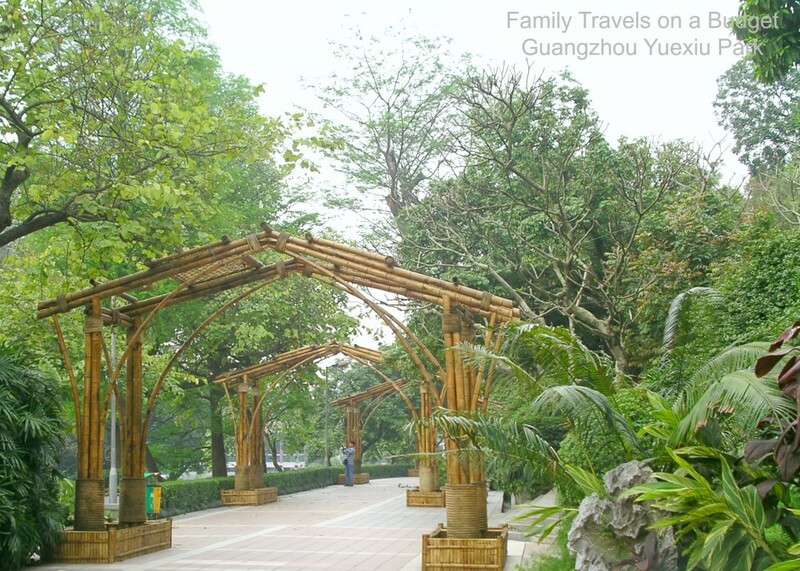 Guangzhou Yuexiu Park in Guangdong, China offers a quiet reprieve from the 12.78 million residents of the city. The largest park in the city at 212.5 acres it features the Five Rams Sculpture, Zhenhai Tower, three man-made lakes, an amusement park, swimming pool, gym, museum, sculptures and an abundance of plants and flowers. 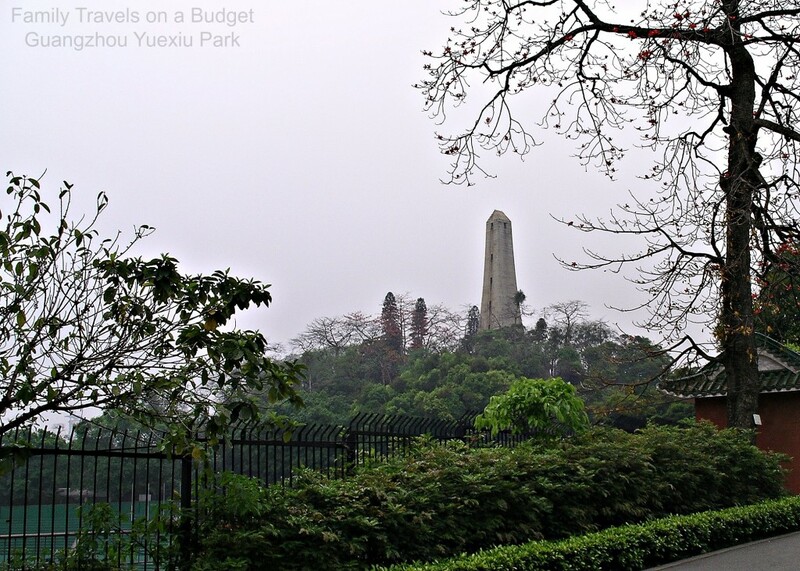 Our walk through a tiny portion of Yuexiu Park was one of the highlights of our trip to Guangzhou. 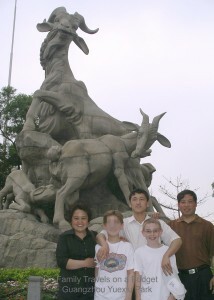 This photo, at the Five Ram Sculpture, is the result of locals asking for a photo with our blonde kids. A pleasant surprise! 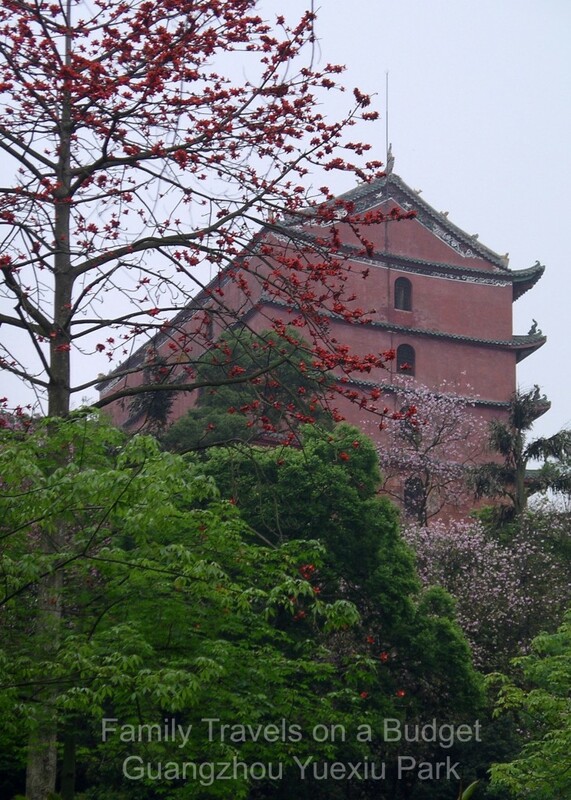 I photographed the Zhenhai Tower and didn’t even know it was a significant element of the park until after our trip. 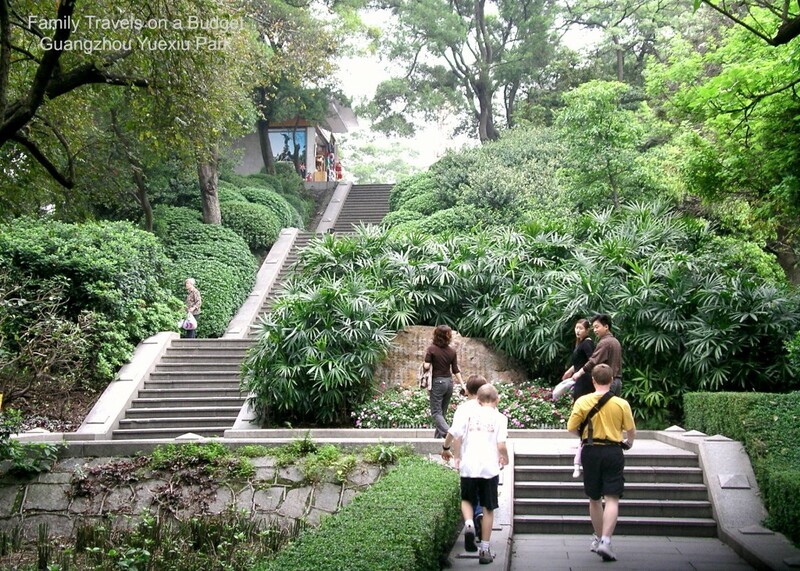 Yuexiu Park includes seven hills, which means lots of stairs. We cracked up at our little monkeys who took the less conventional, more boy, route to the top. These photos offer a glimpse into this remarkable park. I hope to return one day when my daughter is old enough to appreciate the trip. Maybe the skies will clear and we can venture further into the park to appreciate all it has to offer. Add your travel photo at our Facebook Page and join in on the fun! You can also visit Budget Travelers Sandbox for Travel Photo Thursday to see what other travel bloggers and photographers are sharing today. Sounds like a wonderful trip and what a beautiful temple and park. I’ve always heard of blonde kids getting quite a lot of attention in many Asian countries and asked to be photographed. How interesting! Thanks for sharing this part of China with us. What beautiful pics! I hope to be able to go to China one day. Thanks for sharing your adventures with us! China should be on everyone’s travel list. The flight is long, so go with a buffer — a couple days to get accustomed to time changes — before you visit the sites you most want to see. If visiting Beijing, I’d visit the pearl shop, jade shops, Olympic village and other “little stuff” the first couple of days and save the Great Wall, Forbidden City, and other major sites for when less tired. I love how your “little monkeys” found their way up the stairs! I’d love to try that! This looks like an amazing place to visit! Cynthia, are you feeling better? It was a great adventure. After being cooped up in the hotel for days because of rain, they were either going to climb the walls of the hotel or climb the walls of the park. It was such a relief to get out again! Thanks, Pamela. China wasn’t on my list of places to go. I was terrified to fly, but a 24 hour trip tends to cure that! I’m so thankful we went. We are trying to wait patiently to return. Thanks, Rosey. 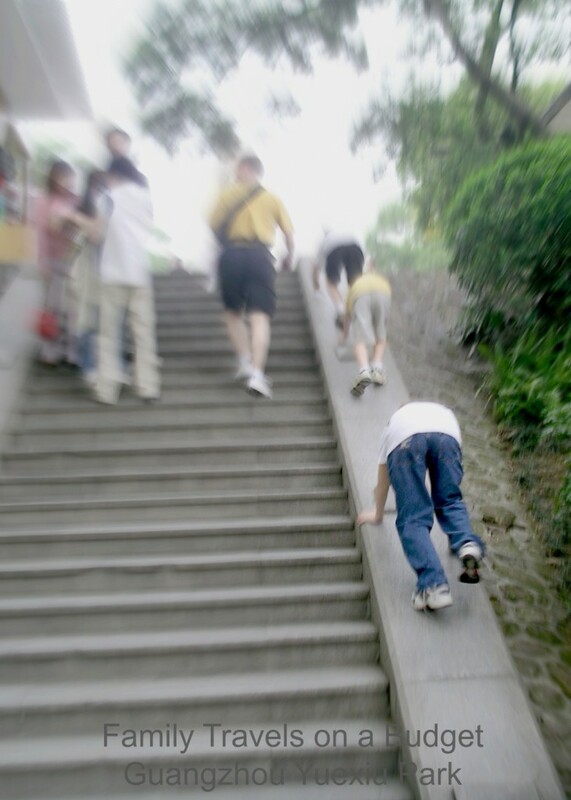 Will you add China to your family vacation list? The one thing I wish we had included on our China trip was a trip to Hong Kong, so if you do go — include a couple days there as well. I love that the Chinese still want to take photos of your blonde children. I had the same request about twenty years ago but thought it may have disappeared by now! Nope! Not a bit. 🙂 Sadly, the squatty potties haven’t disappeared either. Whao..that park looks like really fun. HAven’t been there before but have been to Guangzhou 2-3 years ago. Dominique, I’m so glad my daughter is from the Guangdong Province, because I have a great excuse to return! What did you get to do in Guangzhou? Lovely place in Guangzhou..haven’t been there yet..
Looks like a cool trip. That’s so funny about wanting photos with the blondes! It was funny to us, but my second son (who was the blondest of us all), did not enjoy the attention. Ladies would rub his head as they passed by and once, near the Forbidden City, in Beijing, an old lady called out to her friends and had him surrounded in seconds. It was his one taste of Beiber fame and he is definitely not interested in having such notoriety ever again! Oh, it looks gorgeous and adventurous! Some day I will make it to China! It’s well worth the trip! We hope to go back in a couple of years. Ellie wants to see where she was born (I think secretly she hopes to meet her birth mom, who we have NO info about). I do look forward to experiencing her birth culture through her eyes — surrounded by people who look like her! WOW!